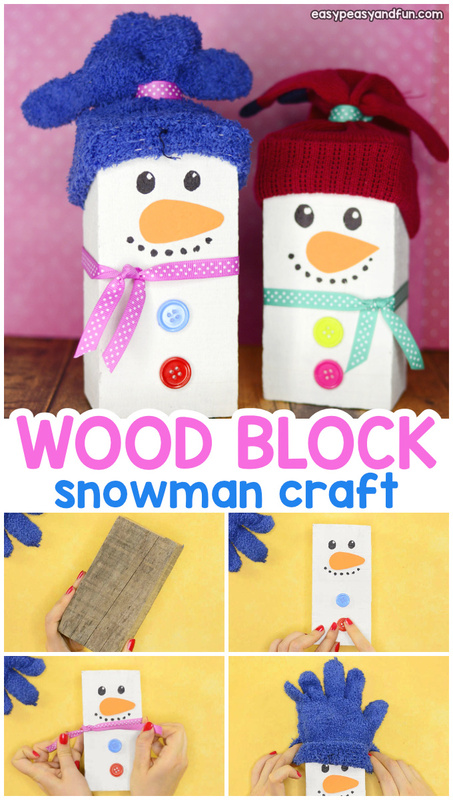 Bring new life to scrap wood (or get wood blocks from the store) by making this gorgeous wood block snowman craft! 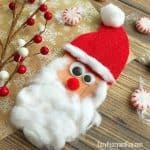 This adorable little Christmas craft will make a wonderful decoration for your home, and it’s really easy to make! 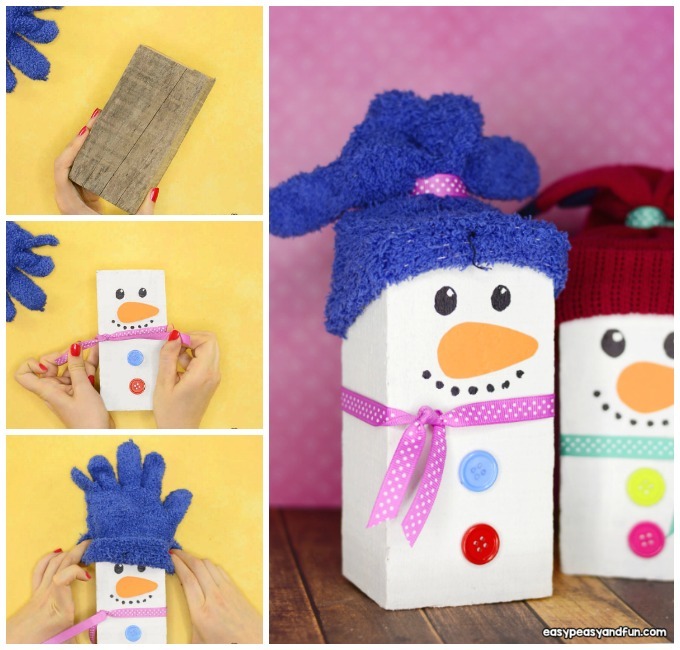 This project is great both for kids and adults, and will take care of all of those odd and old gloves you might have laying around. If you don’t have any gloves to spare, we are sure you have those pairless socks, we all have them. This project makes use of those odd articles of clothes that you store in hopes to find their pair at some day (we never do). 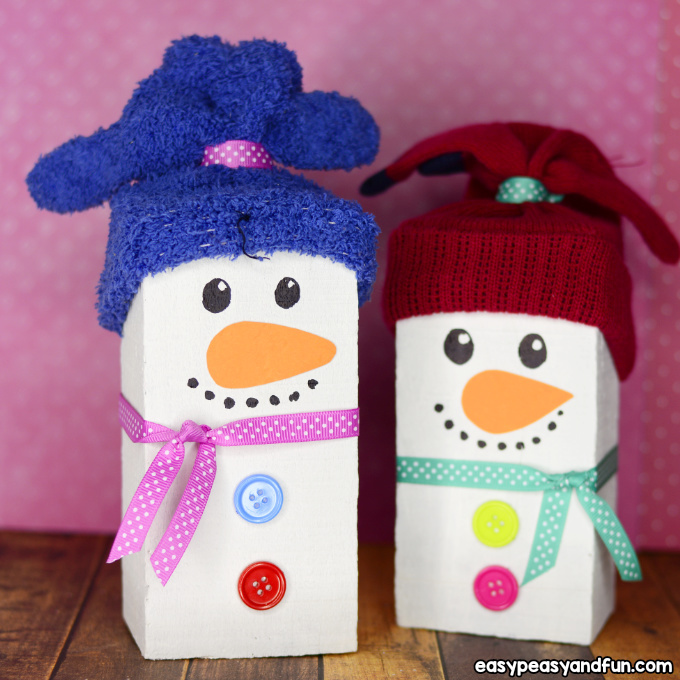 Recycled crafts are the best aren’t they? 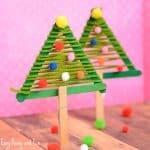 And this one gives a lot of opportunity to use up scrap and leftover materials. 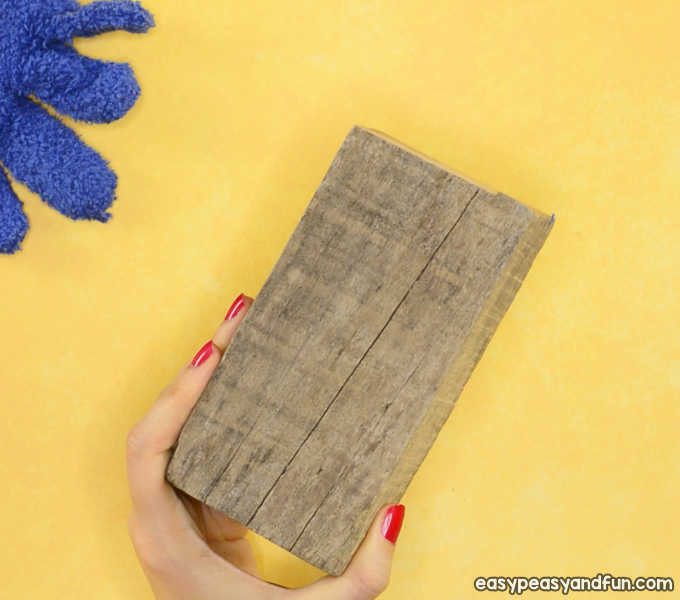 If you are using scrap wood block, clean it up to remove dirt. 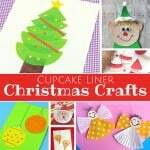 You can also use sanding paper to make it smoother. Paint the wood block white, depending on the paint and wood, more than one layer of paint will be needed. Let the paint dry, before painting a second (and consequent) layers of paint. Paint on a “carrot nose” on the upper half of the block. 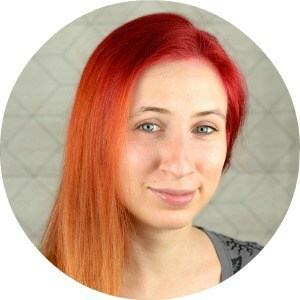 You can also glue a orange carrot out of paper and stick it on (suitable for indoor display, although you could apply varnish over it to make it water resistant). 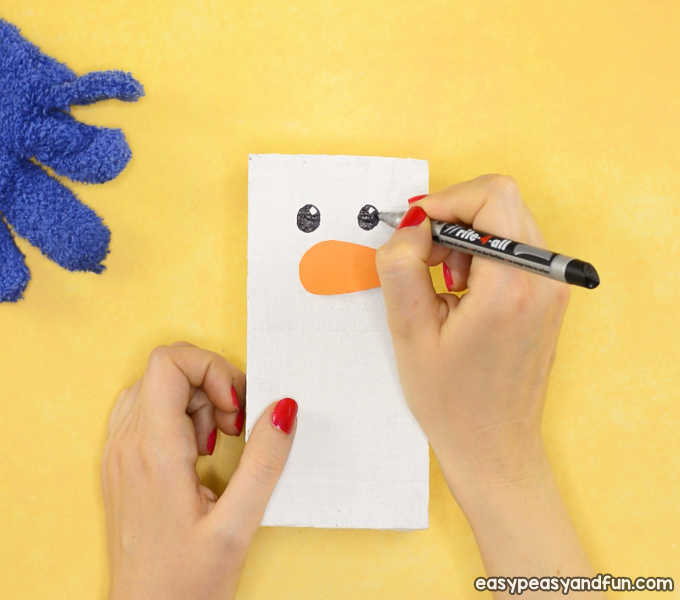 With a black permanent marker, draw two eyes above the carrot nose. 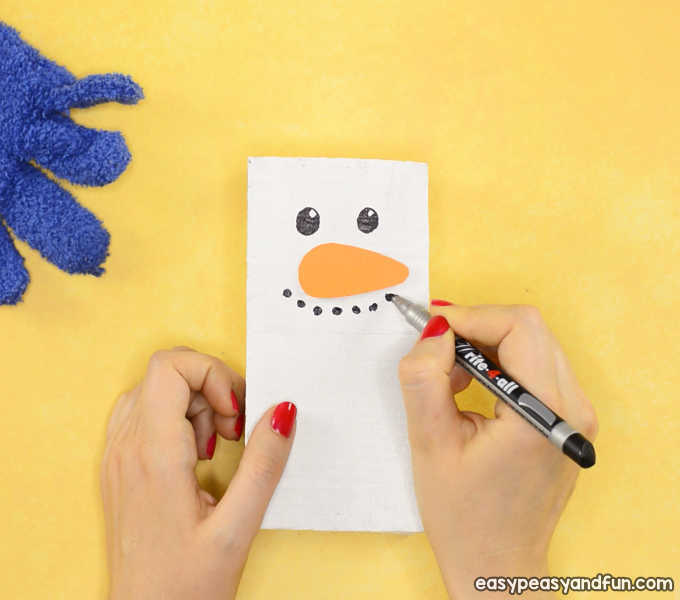 Draw dots for the mouth under the carrot nose. 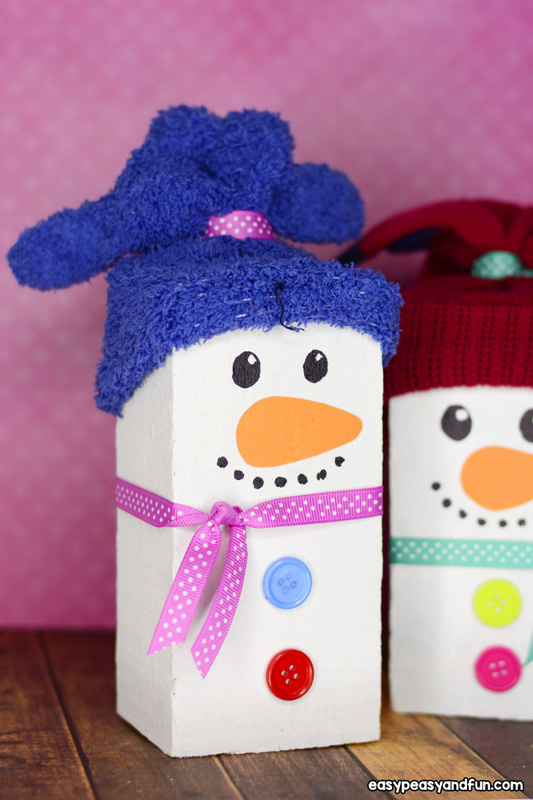 Make your snowman happy (or sad, it’s up to you). Glue two big colorful buttons in the lower half of the snowman body. We used glue dots to attache them, a glue gun or a craft glue will do the work too. No buttons? No worries! Paint the buttons with acrylic paints. 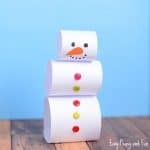 Tie a ribbon between the snowman’s head and the buttons. Cut of excess ribbon. If you want your ribbon to be “neat” you can secure it with a bit of glue. 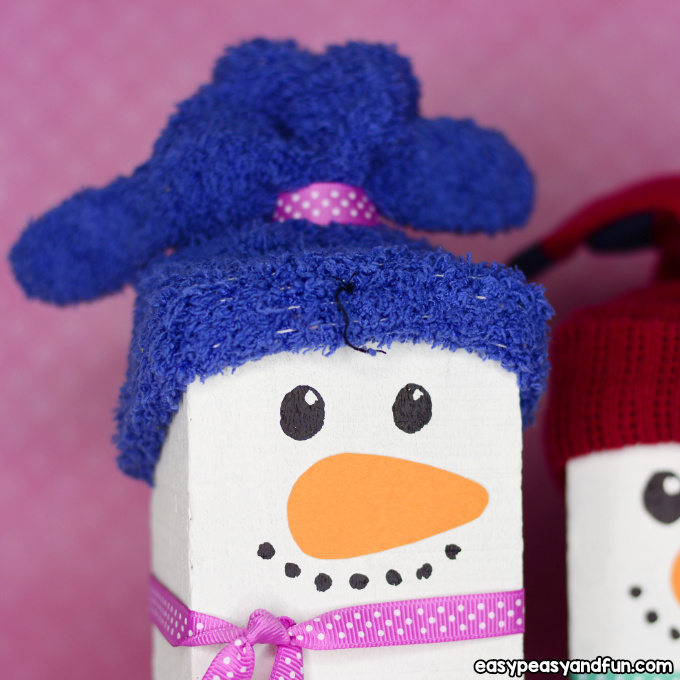 Next comes the snowman hat! 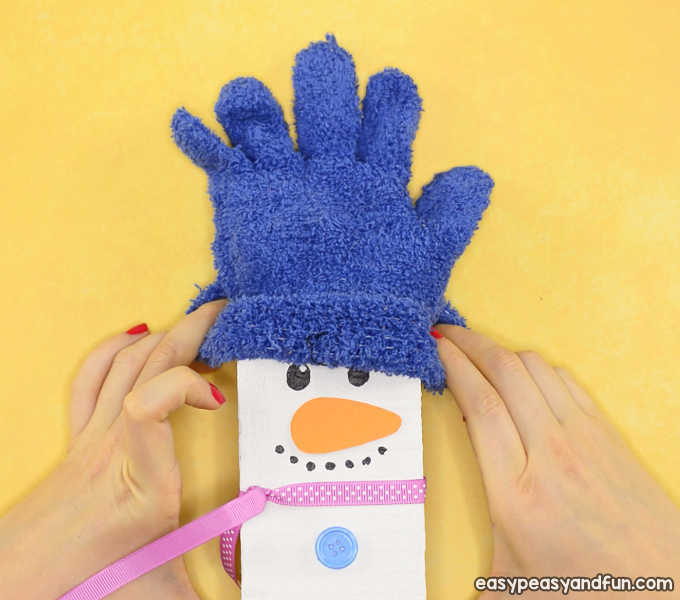 Use an old glove or a sock and push it on the snowman’s head. 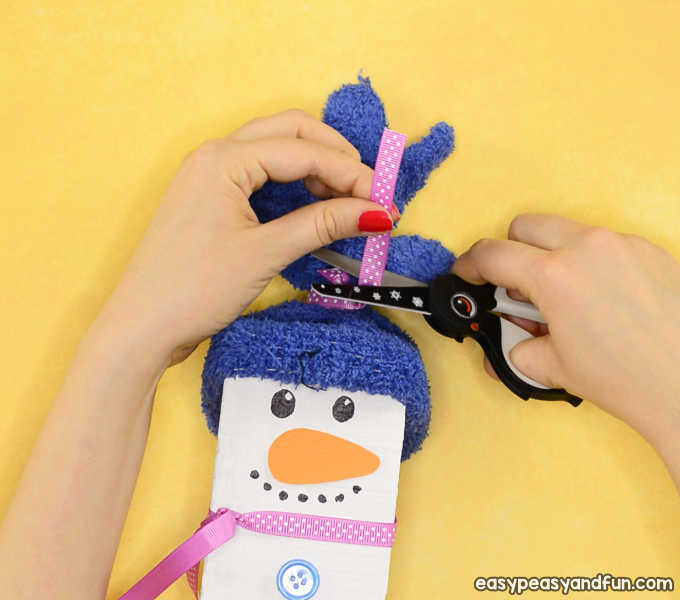 Tie the ribbon (you can use a rubber band under the ribbon to keep everything in place). All done! 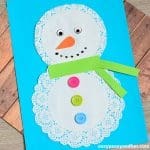 You have completed your Wood Block Snowman Craft. 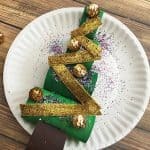 Now make as many as you like! The more the merrier.